Fully built uClouds Modules are £250 plus postage. Shipping costs are £7.50 to the UK, £12.00 within Europe and £15.00 Worldwide. Payments can be made via paypal, invoices available on request. 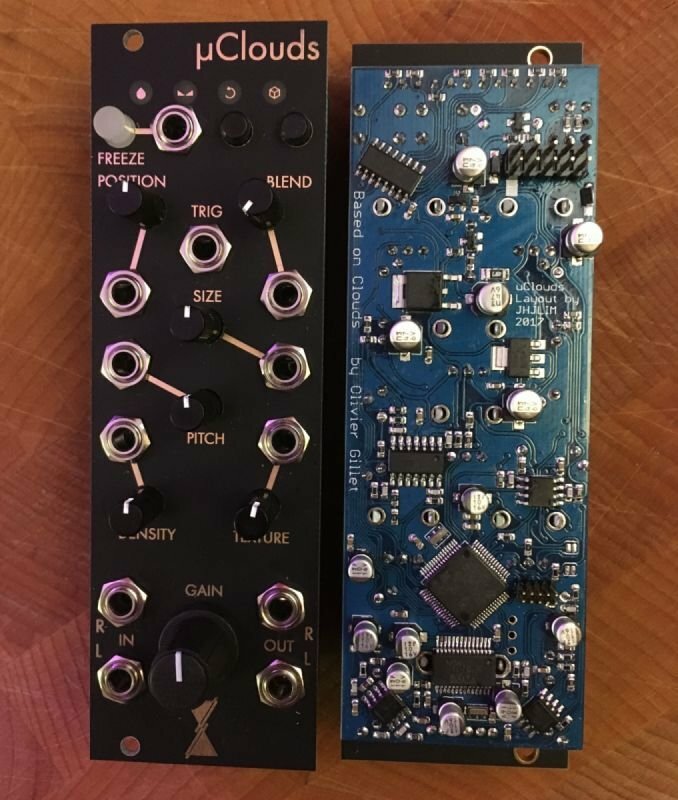 Sold as complete modules fully built, flashed with either Parasites, Kammerl or Original firmware. Orders are completed on demand and usually ship within two weeks. Flashing alternate firmware via an audio signal is not supported and can cause the module to crash, requiring re-flashing with a programmer. It's advised to use a jtag programmer to change the firmware, or better yet, get me to do it for you! PCB and panel sets are also available for £30 plus shipping. A bill of materials and a component location map are available from the github repository. WARNING this is a dense build and i'm unable to provide DIY support, not recommended as a beginners project.